This Fair Is Always Rocking! Fiesta Arts Fair has a well-earned reputation for keeping fairgoers entertained with great, live music. Local and regional favorites perform throughout the Fiesta Arts Fair weekend, on two (2) stages. Just like the art and the food, the music at Fiesta Arts Fair can cover a wide range of tastes. From rock, folk and Texas roots, to blues, zydeco and indie, the styles may vary, but the quality of the music is always high. *Performance times are subject to change. Aaron Stephens Austin's triple-soul-threat Aaron Stephens has performed on stages nationwide and at notable Texas venues such as Gruene Hall and Antone's. Stephens’ uncanny songwriting chops and inviting, warm, rich, vocals stand out often drawing vocal comparisons to Bill Withers, Stephens displays brilliant guitar work; sometimes subtle, sometimes striking, and occasionally surprising, whether it's Derek Trucks-inspired slide texturing or his own take on soaring contemporary blues-inspired grooves that take the best of John Mayer mashed with 70's era Clapton to drive the song home. Bekah Kelso and The Fellas After touring full-time as a vagabond chanteuse for 4 years, Bekah Kelso returned to her hometown of San Antonio in 2012, finding favor with the stages of Central Texas. Kelso's quirky blend of jazz, soul, R&B, and folk landed her local accolades ("Best Singer/Songwriter" in the San Antonio Music Awards in both 2013 and 2014) and brought her invitations to open for international touring acts like 2 Cellos and Los Lonely Boys. In 2015, Bekah Kelso & The Fellas released "No Stranger", an effort Hector Saldaña of The Express News called "a leap forward for the talented Kelso whose voice on her new originals can conjure Janis Joplin’s more commercial pop side (on “Lucky Son of a Gun”), a deeper Rickie Lee Jones (on “Get On Home”), Fiona Apple’s manic intensity (on “The Point” and “Raven’s Song”), a Broadway chanteuse (on “Devil’s Rope”) and romantic old-school R&B singer Roberta Flack (on “”Odyssey” and “Wicked Love”)." 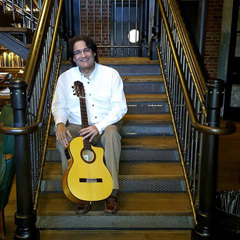 George Gaytan is a professional classical, acoustic guitarist. He has provided music for PBS Documentaries, University of Texas at Austin, and Texas A&M Educational DVD's. He's recorded and toured with Tish Hinojosa and toured with Amy Grant and most recently performed with her at a benefit for Austin City Limits. Gaytan also played for King Philipe V1 Queen Letizia of Spain on their recent visit to San Antonio. He has five recording out with a new one All Roads lead to Home out this year. He is on the Music Faculty at Saint Mary’s Hall College Prep School. 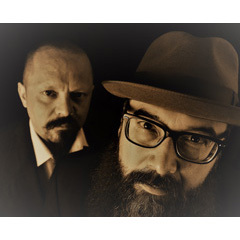 Groovetronx is a San Antonio based duo that is committed to creating new and inspiring music. Constantly push itself to create something fresh and powerful. The band is comprised of lead singer and guitarist John Carrera, saxophonist Noah Peterson. 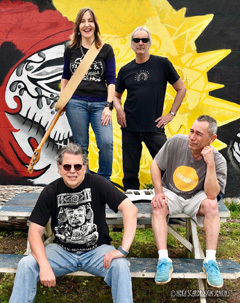 Los #3 Dinners are SA’s beloved and favorite garage band rockers who are in their 40th year of playing at every club, party, concert, backyard barbecue, fiesta, and benefit imaginable. Texas Monthly magazine named them the Best Local Band in Texas (July 1980). Current Magazine named them Best Local Rock Band twice and in 2006 named them the Best Rock Band in the Last 20 Years. The band plays a mix of originals with a local SA twist to them (“Livin’ Inside the Loop”, “SA Woman”, “Quiero Un Camaro”) and party rock covers made for dancing. They have a number of records, tapes and CD’s and are the top selling local band in SA. Their motto is: Let the Good Times Roll SA Style. Their shows are great fun and always include audience participation so come listen, dance, sing, play maracas and party! 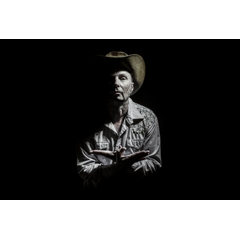 Mike Barfield The Tyrant of Texas Funk explores the connections of Southern Soul and R&B to Country Music. 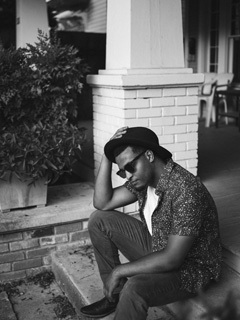 “Barfield’s brand of “Texas Funk” has blues and rock infused into its funkiness and is delivered by a guy that doesn’t look the part. Think of a six-foot leprechaun (with red lambchop sideburns) who shimmies like James Brown. That’s Mike Barfield. Oh, and he wears a cowboy hat. It is Texas after all.” Imagine one part Cash, one part Clash, some James Brown and a little Screamin' Jay and you got Barfield, the Tyrant!! Funky, garage soul from Austin, Tx. Rachel Laven is a young yet seasoned singer-songwriter with over 15 years of professional stage experience. This Texas native is known for turning eyes and ears with her electric vocals and her provocative songwriting. Laven is an earnest observer. American Roots Music has a long tradition of proficient storytellers breathing life into the characters of their songs. In listening to Laven’s ballads you can hear the quality of her watchful eye surveying a scene, piecing together the most relevant colors and textures of a personality and giving easy shape to the characters that she describes. 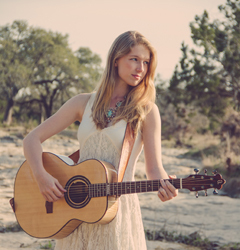 She has performed nationally and internationally at festivals, theatres, house concerts, and small venues alike. Two Tons of Steel Before there was Americana, before there was Texas Country, Two Tons of Steel front man Kevin Geil and his original band, “Dead Crickets,” rocked a sound that blended the best of musical worlds and pushed the envelope of “Texas” sound with a signature brand of high energy country meets punk. 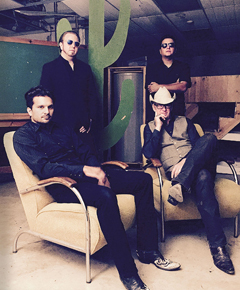 The San Antonio-based group packed the small bars and local hangouts and quickly became the Alamo City’s most-loved band, earning them a spot on the cover of Billboard Magazine. It was the beginning of a twenty year journey for Geil and the 4-piece ensemble. Volcán is a South Texas based iindie Latin project formed in late 2014. The group boasts a full rhythm section (comprised of drums, congas, bongos, timbales, and bass), a full brass sections (comprised of trumpet, trombone, alto saxophone, and mellophone, a state champion accordionist, a prolific lead guitarist, and best-in-class vocals. Volcán is all original, opting never to use covers despite their dedication to bringing traditional cultural sounds to a new generation of Latinos; creating pieces of music that stretch the definition of what traditional Latin music can be and modernizing our favorite classic sounds. 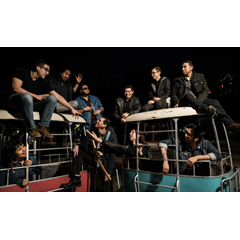 West Kings Highway is a South Texas band who knows how to write a song and creates its own original sound with a combination of musical styles. 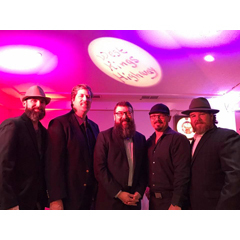 Bringing together jazz, Americana, and rock influences they are known for poignant lyrics and smooth melodies. West Kings Highway delivers music that is honest and memorable.